This guide provides information on how to obtain an honorarium payment for an individual in recognition of an academic activity. For complicated situations, please contact the FAST/AP Help line at 459-4488 with questions, or locate your representative directly. An honorarium is a payment to an individual in recognition of a special or distinguished service for which propriety precludes setting a fixed price. Activities include a lecture, concert, participation in a workshop or seminar, speaking engagement, or appraisal of a manuscript for professional publication. Both employees and non-employees are eligible to receive honorarium payments, however, UC employees must be paid through the payroll system. Payments may only be made to recipients with a Social Security Number or an Individual Taxpayer Identification Number (ITIN). Use IRS Form W-7, Application for IRS Individual Taxpayer Identification Number, to apply for an ITIN number. If this is the first time the recipient will be receiving a UCSC non-payroll payment, complete a Payee Setup 204 form. Foreign nationals may find it helpful to refer to the following checklist to assist in ensuring that all needed documents are submitted with the request for payment: Foreign National Personal Services. Visa classifications that permit a foreign national/nonresident to receive an honorarium include B-1, B-2, WB/WT, and J-1. Refer to each specific visa type for documentation requirements.  Employees of the University of California must be paid through the Payroll system. Faculty may be paid up to $1,500 per event. This limit may be increased up to $3,000 by an exception to policy, however, total annual compensation for lectures or similar services as described in APM - 666-8 a and b may not exceed 10% of the faculty member's base salary. Request a payment to be made by reviewing criteria below. The Campus Purchasing Card cannot be used to procure this service. Out-of-pocket payment for this type of expense will not be reimbursed. If the recipient is a foreign visitor see above for documentation requirements in addition to the Direct Payment form and Worksheet. Complete a Direct Payment form and obtain approval from an authorized expense approver. Include the last 4 digits of the recipient’s social security or individual taxpayer identification number on the form. Submit a completed Direct Payment form to the divisional or departmental business office for review and approval. The divisional or departmental business office will submit the form and supporting documentation to the Financial Administrative Services and Transactions/Accounts Payable Office (FAST/AP) for processing. Complete a UC Host Intercampus One-time Payment Form UPAY 644-CT (PDF) and obtain approval from an authorized approver. Submit the completed form to the Payroll Office. Complete in OPTRS (see OPTRS manual, section EDFT for more information). Only an individual with written delegated authority provided on the Signature Authorization Approval Form may approve the payment. An employee having delegated authority may not approve his or her own reimbursement or payment request. Refer to the appendices for foreign visitor tax information. Refer to the appendices for general tax withholding and reporting information. An individual who assigns or transfers compensation for personal services to another individual or entity is not relieved of Federal income tax liability. Note: Under no circumstances may a declined honorarium be paid into an employee’s research account or other fund controlled by the employee. Generally, honorarium payments are not allowed to be charged to Federal funds unless a contract or grant specifically authorizes such payments. State funds may not be used for payment of honoraria. Forgetting to provide the recipient’s social security number or Individual Taxpayer Identification Number on the Direct Payment form. Forgetting to obtain the appropriate approvals on the Direct Payment form. Forgetting to attach required supporting documentation to the Direct Payment form. Forgetting to submit all the pertinent visa and/or immigration documentation associated with payments made to non-resident aliens. Forgetting to submit a Payee Setup 204 for a first-time reimbursement or payment recipient. This policy applies to this campus business process.